As I write this, I'm 99% positive that Cinnamon Toast Crunch is my favorite breakfast cereal. It ages with me well, offering a good whole grain base that's lightly sweetened and has a deliciously-balanced cinnamon and sugar coating that tastes great, even if it does leave a slimy film in my mouth like I've been licking frogs again. So when I finally decided to try its sister cereal, French Toast Crunch, it was with some hesitation (it looks like a big departure from CTC), but also a little bit of nervous excitement. 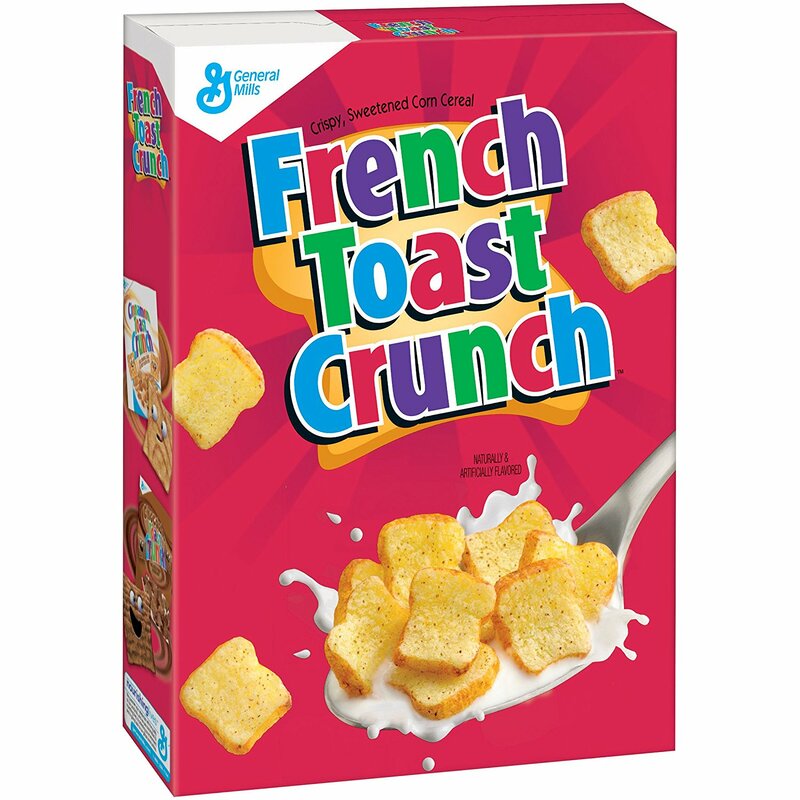 French Toast Crunch was originally introduced back in 1995 by the folks at General Mills and was around until 2006, when it was pulled from American store shelves (but remained available in Canada). But since everything old is new again, the folks at General Mills dusted off the idea for America in 2015, relaunching it nationwide where it still occupies valuable shelf space as of this writing. Before this review, I'd never tried French Toast Crunch. To be perfectly honest with you, I don't remember seeing it on the shelves before the 2015 revival at all. With mounting curiosity and an eager 11-year-old in tow, I pulled the trigger and bought a box.